This industrial barbell is part of a bigger line of industrial barbell with striking prints. The bar is made of steel and therefore feels solid when worn. The balls on the other hand are made of see-through acrylics which gives it a lighter look in general. The finishin touch obviously comes from the print. 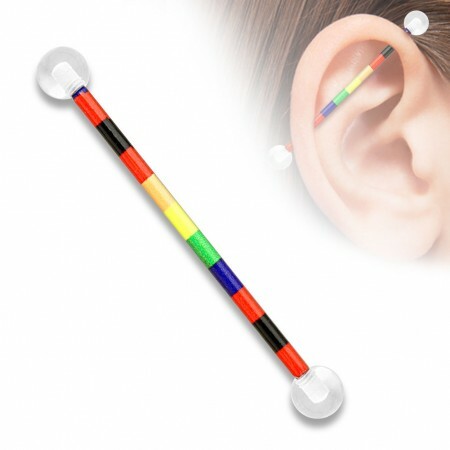 This industrial barbell is 38 mm long and will be more than enough for most ears. Since both balls can be screwed off you can also give this barbell a little extram, this by replacing the ball by less or more striking ones.